This Roberto Coin bracelet from the gorgeous Princess Flower collection is a breathtaking addition to your elegant style. 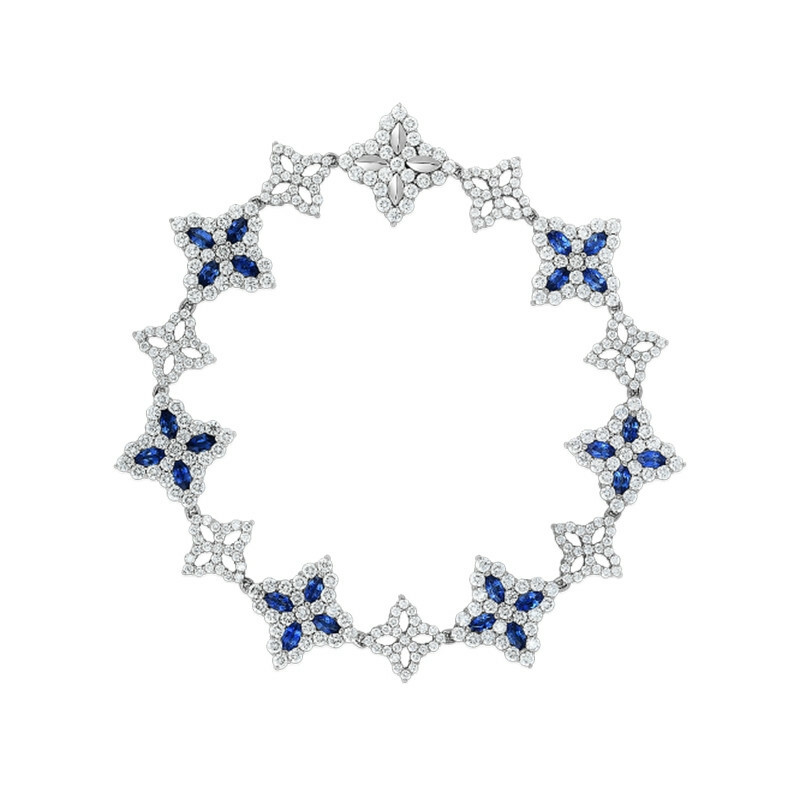 The blue sapphire gemstones that contrast the luminous diamond embellishments, demand all the attention in a room with effortless sophistication. Polished 18kt white gold is carefully crafted to achieve the most high-quality design and showcases the efforts of timeless craftsmanship. Roberto Coin jewelry embodies the infinite design of inspiration and experimentation.